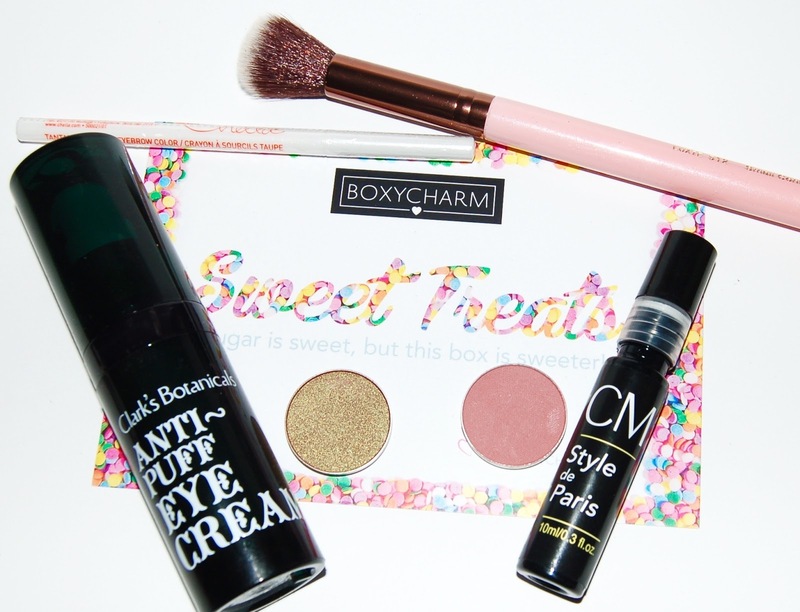 The them for the March box is Sweet Treats. Note: Usually the information card that comes in each box contains well...information about each item in the box and it's value. This month's card didn't have any info so I'll do my best to find the info on my own so we can know the total value of this box. I really hope that next month they go back to including the info on the card. I won't be opening this eyebrow pencil since the only eyebrow product I use is a clear gel. I'll be passing this product along. Wow, this is a really pricy item! This eye cream targets fine lines, puffiness, and dark circles with a high concentration of vitamins and botanicals. 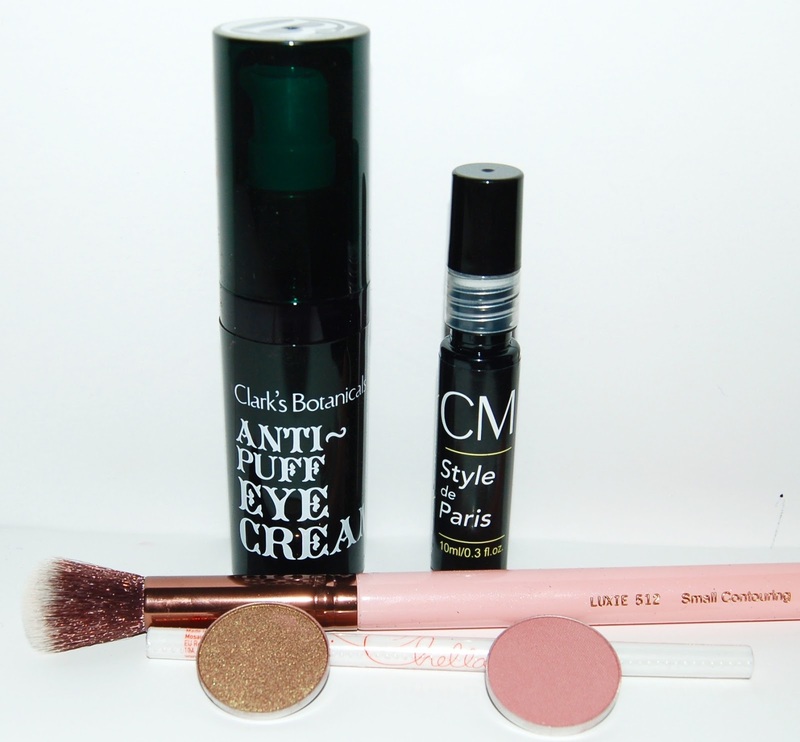 I look forward to trying this once I finish my eye serum sample from last month's box. This is a very nice smelling perfume with fruity notes as well as a bit of violet and ocean breeze. I really like the scent of this. I love when we receive Luxie brushes in our Boxycharm boxes because they are so soft and great quality! I will probably use this to blend out my contour or to apply highlighter to my cheekbones. I already know that I love Makeup Geek shadows so I was really excited to receive 2 in this box and one being a Duochrome! 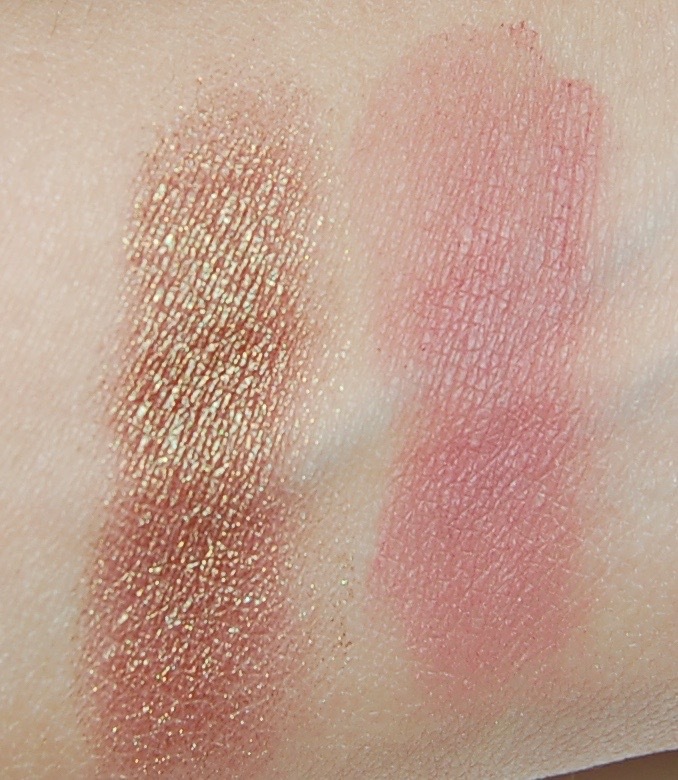 Cupcake is a matte medium pink shade and Ritzy is a duochrome with a red/brown base and green and gold flecks. I sure hope to see more Makeup Geek items in future Boxycharm boxes! 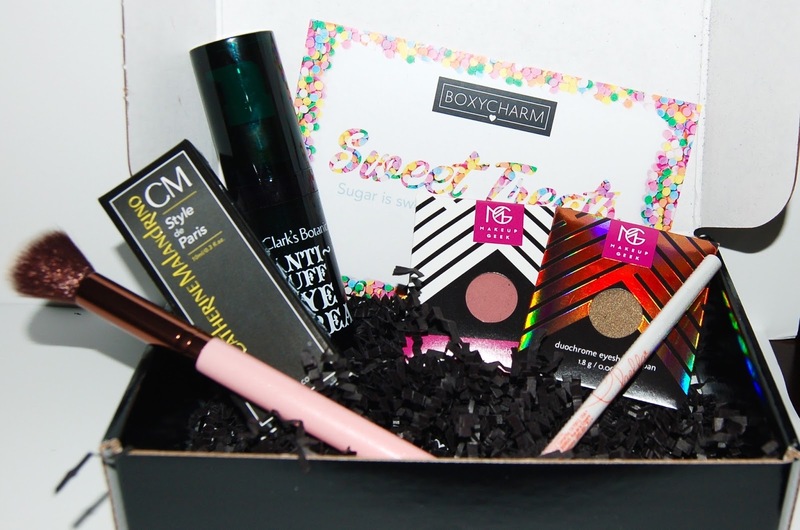 Overall I really liked the March Boxycharm box! I'm most excited to add the 2 Makeup Geek shadows to my collection and I really love the Luxie brush and the perfume. I'm also curious to try the eye cream. Each Boxycharm Box costs $21, shipping is free, and you can cancel your subscription at any time. As you can see, I received 5 full size items in this month's box. The retail value of this box is about $153, that's 7 times the cost of the box!